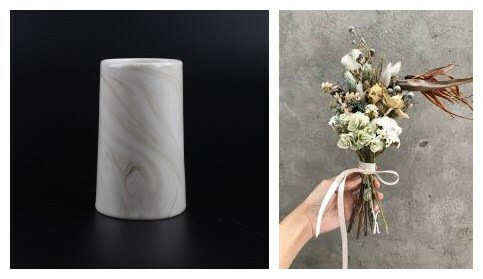 Decorated in white details, and appealing to all taste, this ink modern luxury china vase makes a great anything gift for gentlemen or ladies of all ages. 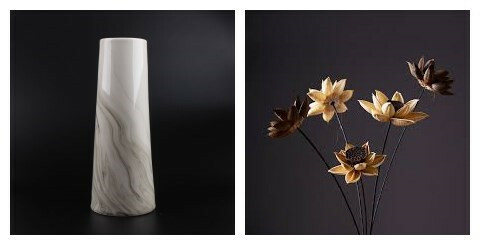 This charmingwhite ink modern luxury china vase, makes the perfect vessel for both buds and other long stemmed flora. Also this ink modern luxury vase is decorative with chinese ink. A shiny vase such as this is also perfectly modern left unoccupied- picture it huddled among the other bits and bobs in you accessory stash or sitting daintily on your coffee table.This black porcelain vase also can be used as a pen holder, little thins container and so on.